Should you buy the Apple Watch Nike+ Series 4 instead of the standard model? 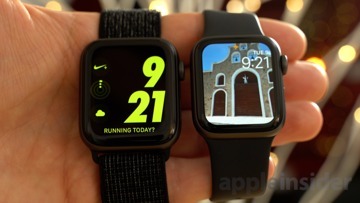 Last year's Nike+ Apple Watch Series 3 wasn't much different from the standard version making it a bit tough to choose between the two models. 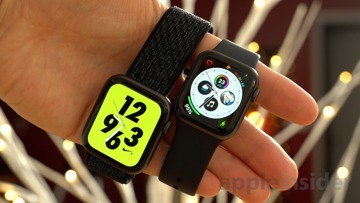 This year, with the introduction of the Apple Watch Series 4, AppleInsider shows you everything that's different between the two models. 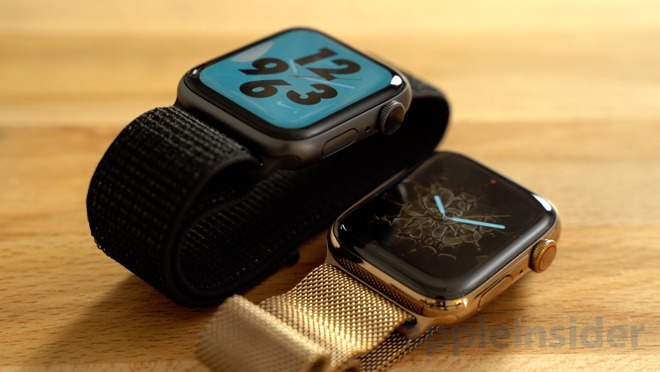 Both models start at the same $399 for the smaller 40mm size and $429 for the larger 44mm size, and when compared side by side, one is quite a bit bigger than the other. For color options, it's not possible to purchase the Nike+ model in Gold, so you're probably gonna go with the standard model if you really want that version. 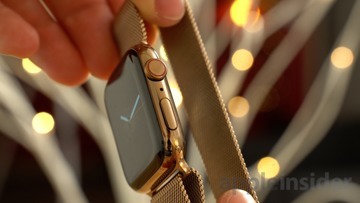 On top of that, you can't get the Nike+ model with the premium-looking stainless steel case. 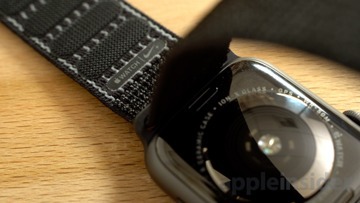 The biggest difference between the Nike+ and standard Series 4 model is actually the bands that ship with each. For the standard aluminum model, you can choose between the Sport Band and the Sport Loop. Our Space Grey model actually looks really nice with the black sport band. 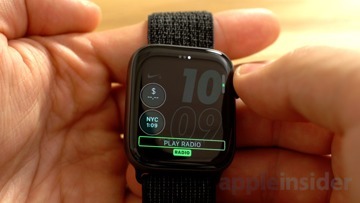 Now on the Nike + model, things are quite a bit different, as instead of the regular sport band, you get the Nike Sport band, featuring small holes all over the band to help with air circulation during intense workouts. Of course, you can buy whatever band you want on Apple's website, but that's another $49 to add on top of the cost of the Apple Watch. 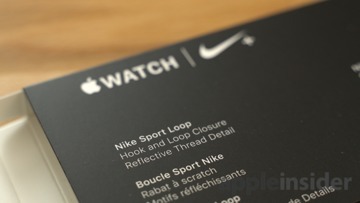 There's actually one band that you can't buy separately, and that's the other Nike+ band option —the Nike Sport Loop. 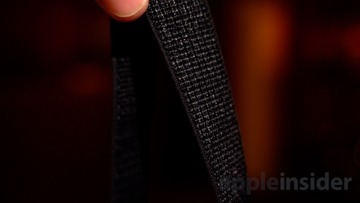 This year, the Nike Sport Loop features reflective yarn to help you remain visible during night-time runs. The black band looks great on the Space Gray watch, and there's also a white band for the silver model. I personally think this is a genius move by Apple, and it's probably one of the best reasons to choose the Nike+ model over the standard one. Unlike last year, the Sport loops are available on the non-LTE models, as well as those with cellular access. 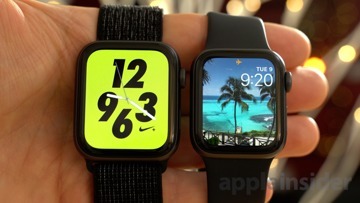 Apart from the bands, the only physical difference between the models is a small Nike+ logo on the back of the watch. 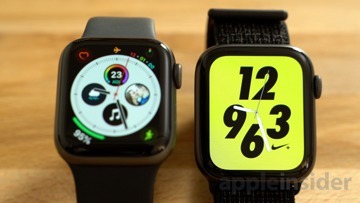 The internals are literally identical on both watches. What you do get with the Nike+ model that you can't get on any other Series 4 is the exclusive Nike+ Analog and Digital watch faces. 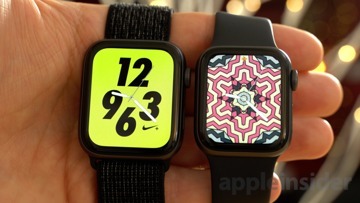 With both watch faces, you get a permanent Nike Run Club complication to gets you right into Nike's Run Club app. Notably, the Run Club app hasn't changed from last year. Now let's go into more detail with the digital watch face. You can switch between three styles of clock text, and there's a whole lot of color options to choose from. You also get three customizable complications as well. 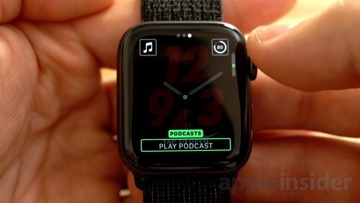 I personally don't find this watch face very special, but the Analog watch face is where it gets interesting, as it features color covering the full-screen, showing off just how big the new display really is. 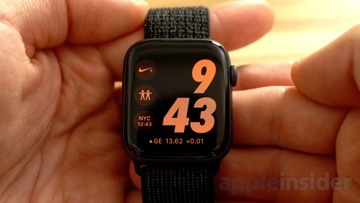 With this face, you can also have three extra complications, but if you're using the advertised full-color clock style, those disappear, leaving only the Nike Run club complication. However, they come back if you decide to use the black style. Apple could have easily allowed complications on the full-color style, but it chose not to because it uses significantly more battery life compared to the black version. With the Analog watch face, there are a lot more styles to choose from, and you get the same wide-variety of color options, except with the full-screen style the colors really pop. The bright crimson watch face is a personal favorite. 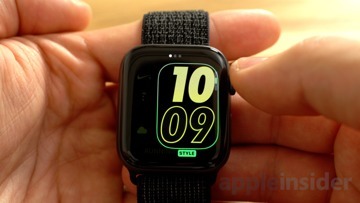 On the regular Series 4, the closest you can get to a full-screen color watch face is the Photos watch face or kaleidoscope, and neither option is as nice as the Nike+ faces. 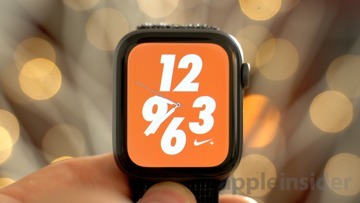 Other than the Nike Watch face, you'll have to pay over a thousand dollars for the Hermes model to get a premium full-screen color face. So back to our original question, which Apple Watch Series 4 should you choose? The Nike+ model or the standard one? First off, decide if you really want the Gold aluminum case or any of the stainless steel cases. If you don't mind a Silver or Space Gray case, and you actually prefer the Nike bands to the regular ones, then definitely buy the Nike+ model. You'll get some extra watch faces and if you're getting that reflective Nike Sport Loop, you'll be that much more safe on the road. Nike is currently accepting orders for the Nike+ Series 4 devices, with delivery in an estimated two to four business days.